Whether you run a Fortune-500 company or a hot dog cart, the first time a prospect becomes an actual paying customer is always significant. But, the second, third, fifth, and 10th sales are even more important. Those are the ones that really need to get your attention. Why? Because finding new customers is 7 times more expensive than keeping them! Because of this, if you’re continually chasing new customers, you’ll undoubtedly hurt your bottom line. One of the most effective ways of retaining loyal customers involves creating a customer rewards program for your own business. Read on to find out how you can use customer loyalty to help grow your business. What are the Benefits of a Customer Rewards Program? The objective here is to develop profitable relationships with your customers in the long term. You want to build a loyalty program that is convenient, simple, and caters to their wants and needs. If your customers have to jump through hoops to earn rewards, of if you offer them things that are not relevant to them, it defeats the whole purpose. This means that before you can come up with a successful rewards program for your business, you need to fully understand your target audience first. Understanding your customers helps you to more effectively sell your products or services to them. Furthermore, reaching out to existing customers reduces your overall marketing expenses. But, it’s important to note that not all customers are created equal. Some are more valuable, and more loyal than others. In order to create an effective loyalty program, you first need to define your goal. What is it exactly that you want to achieve with such a program? Do you want to encourage customers to spend more on your products or services? If so, you can offer them a reward point for each $1 spent. Is your goal encouraging repeat visits? Then offer customers a reward point each time they check in. Are you trying to increase brand awareness? Get customers to post about your business on social media and reward them with points. And so on. As you can see, your rewards program can be set up to encourage different actions from your customers, including customer referrals, upsells, and a whole lot more. The majority of businesses have a goal of increasing sales from existing customers while getting new ones through the door. In such a case, a combination of the strategies outlined above would be a good idea. There’s a variety of ways that you can create your program including app-based, swipe cards, email-based, and even punch cards. With this type of program, customers download an app and register on it to join your program. To add points, all they have to do is scan QR codes on their screen. Or, you could integrate your POS to add points. If this sounds daunting to you – it’s not. Creating custom-branded apps is now as easy as creating a website. 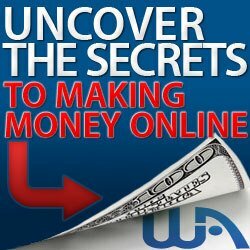 There are simple online tools that help you do this with just a few clicks of the mouse. This option is entirely hands-free. Simply save your customer’s email address in your POS and then use it to add points automatically. The main advantage here is that your customers never have to worry about opening an app, submitting QR-codes, and so on. However, the downside to choosing this option is that customers may be a lot less engaged. This is where the app-based program has the advantage. Your loyalty rewards program will only be effective if customers find it engaging. You can design the absolute best program with awesome rewards, but if your customers aren’t actively tracking their progress, they aren’t necessarily going to keep coming back. With an app-based program, you can get high levels of engagement from your audience. Add other features to the loyalty rewards app, including store updates, an events calendar, videos, photos, coupons, and so on. Send ‘push notifications’ to buzz your customer’s phone and display messages. This tactic is extremely effective for broadcasting promotions as well as for updating your customers about their point status. Just remember that great power comes with even greater responsibility. Use push notifications sparingly, otherwise you risk annoying your customers. Follow the steps outlined below to create your own customer rewards program. The first thing you’re going to need is a great name for your program. You want something that attracts their interest and urges them to participate. If there are tons of other loyalty programs in your niche, then make sure that it’s something that differentiates you from all the other programs that your customers are already part of. Your name needs to go beyond simply explaining that your customers will get a discount or rewards. Choose a name that makes them excited to be involved in your program. For example, the beauty brand Sephora went with ‘Beauty INSIDER’ and the vegan supplement brand, Vega named theirs ‘Rad(ish)’ rewards. The names are unique, they hint at the program’s benefits, but don’t give away much. This makes customers want to join because they are curious to find out more. A lot of customers are very cynical when it comes to customer rewards programs. They believe that it’s just a clever trick to lure them into spending more with that particular business. Yes, that may be the ultimate goal of your customer rewards program – making money is the goal of most businesses. But, your job is to make it about a lot more than just the money. You need to make it about values if you want to get customers excited about it. Consider the ‘why’ that drives your products or services. This will help you make your loyalty program compelling to your customers. For example, if you have an online store, you could offer free shipping – that’s a convenient reward that speaks to the value for your customers. As previously mentioned, it’s not only about making money. In addition to rewarding your customer for their purchases, show them that you care about more than merely taking their dollars by rewarding other actions that they take. These are all valuable signs that your customers are engaging with your brand – and you can reward them for that. Research shows that it’s actually what the majority of customers who are involved in such programs want. Yet another way that you can provide more value to customers is to offer other types of rewards than just discounts. For instance, customers who reach a certain threshold in their spending can turn in the reward points they earned for a free subscription to an additional product or service. Or you could offer donations to their favorite cause. You know what matters to your target audience, so get creative and offer them something that will mean a lot to them. If you’re going to ask your customers to enroll in your loyalty program, it needs to be worth their while. Just as in inbound marketing, when you ask for money from your customers, you need to give them something valuable in return. The reward has to match the effort expended. So, for instance, if you’re offering cash-back rewards as part of your program, assign monetary values to the points so that your customers can easily visualize what they will earn by continuing to buy from you. Values are important to everyone. In fact, over 65% of customers would opt to spend money with a brand that takes a stance on political or social issues that they care about. That’s huge! It means that you can increase the likelihood of your program’s success by tapping into the values that your core audience holds dear. For instance, TOMS Shoes knows that providing resources to less fortunate countries is important to their customers, so they donate shoes to children in need for each purchase their customers make. They even take this a step further with efforts to help animal welfare, clean water access, maternal health, and a lot of other important causes. This gets their customers excited about being able to help in different ways. After launching your customer rewards program, every chance you get you need to hammer home how your customers can join. You also need to ensure that they understand all the benefits associated with joining. For instance, if you reward your customers for purchasing one of your products, make sure that you display the points they stand to earn from that amount right next to the price. You could also promote your program on social media and add on-site push notifications whenever your customers complete an action that earns them rewards points. You know what’s better than getting a single reward? Getting two rewards! Co-branding customer loyalty rewards means you’re exposing your brand to a whole new group of potential customers while providing your own customers with even more value. A great example of this is T-Mobile’s offer to their customers of a free subscription to Netflix with each purchase of more than one line. Who doesn’t love competition and games? Use your customers’ winning spirit to get them to interact with your brand on a more frequent basis. When you turn your loyalty program into a game, it earns you valuable engagement on your website, app, or point of sale. You can easily translate points for gamifying your program. A good example of this is Treehouse, a company that teaches app development and coding. They reward users who show engagement with points that lead up to a badge. Users can display the badge on their social profiles or websites to impress potential employers and colleagues with their skills. More than half of customers in the US join new rewards programs every year. And a huge portion of those people agree that they actually spend more after joining such programs. Setting one up for your business is a great strategy to help increase sales. Just make sure that you decide carefully on what will engage your customers the most without resulting in a loss for your business. Once you’ve done that, choose which platform you’ll go with to create your customer loyalty rewards programs. There are many offerings (free and paid) to choose from online like LoyVerse, QR Loyalty Cards, and CandyBar.co. Most of them are designed to be small-business-friendly and you’ll have your program up and running in no time. With such platforms, all you need to do is ask your customer for their phone number and they will receive a text to confirm – and that’s it. They’re signed up! So, if you’ve started making some sales in your business, this is something that you can look into to help increase your revenue and encourage repeat business.